One person is dead after a crash in Wauwatosa Friday evening. The crash happened at the corner of North 82nd Street and West North Avenue around 4 p.m. Friday. 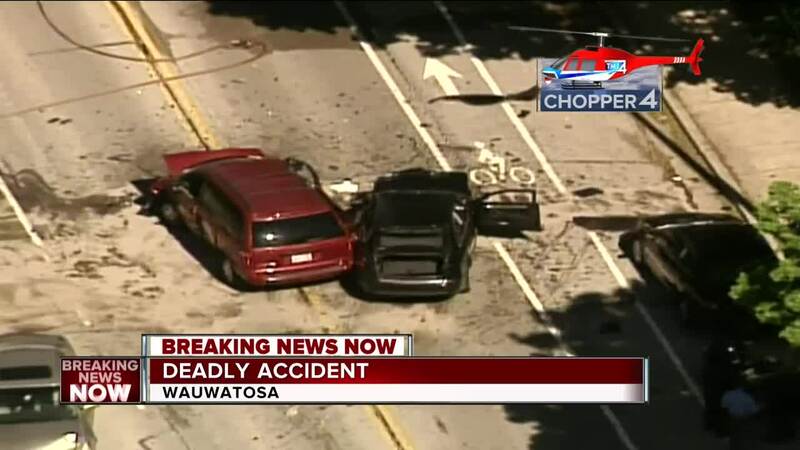 Wauwatosa police said a sedan swerved into oncoming traffic and collided head-on with a minivan killing the driver of the van, a Wauwatosa woman. The driver of the sedan was hospitalized, but their condition is unknown. Before the crash police had pulled the sedan over, which sped away into oncoming traffic, hitting the van.